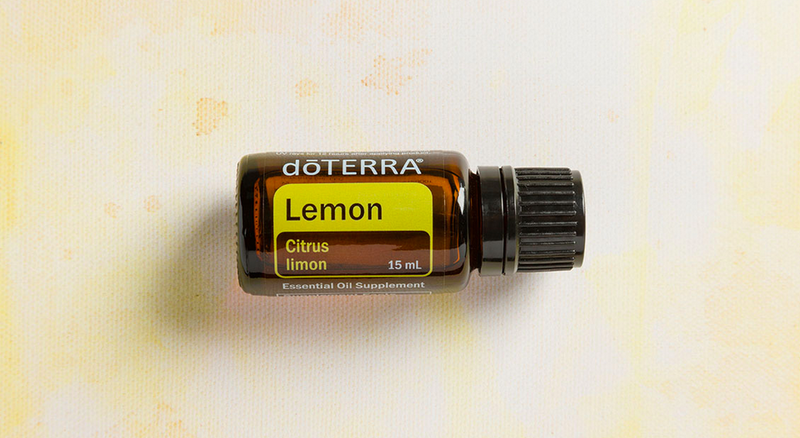 As one of doTERRA’s top selling oils, Lemon oil has a variety of uses and benefits. With a clean, fresh, citrus aroma, Lemon is known for its purifying properties. Often used in cleaning products and air purifiers, Lemon has distinct cleansing and deodorizing characteristics that make it a popular choice for cleaning surfaces and purifying the air. As a versatile oil, Lemon also has the ability to aid in digestion and support healthy respiratory function when taken internally. Whether it is being diffused, taken internally, or applied topically, Lemon essential oil offers a variety of benefits. Add Lemon oil to your water for a refreshing taste or as an alternative to sodas and sugary drinks. When taken internally, Lemon oil can also naturally cleanse the body and aid in digestion. You can even add a drop of Lemon oil and sliced fruit to your water for a delicious infused flavor.